Case prepared by Alexandra Hansen, BLaw, student at the Universities of Basel and Geneva (Switzerland), under the supervision of Professor Marco Sassòli and Ms. Yvette Issar, research assistant, both at the University of Geneva. gold. According to TRIAL, the refinery knew or should have assumed that the gold resulted from pillage, a war crime. TRIAL therefore requests law enforcement authorities to open an investigation and to establish whether an offense has been committed, and if so, to sanction the company. [...] The Swiss anti-impunity NGO suspects that the refinery may have committed « aggravated laundering » (under article 305bis of the Swiss Penal Code) when it allegedly refined pillaged gold from the DRC, the sale of which contributed to financing the operations of an unlawful armed group in a brutal conflict. The complaint follows investigations into the DRC-sourced gold supply chain that were conducted in the years 2004-2005 by the United Nations Group of Experts on the Democratic Republic of the Congo, pursuant to its mandate to monitor the arms embargo on the country. All of the African businesses and businessmen implicated in this affair were severely sanctioned by the UN Security Council, while Western businesses and businessmen were not, notwithstanding recommendations from the Group of Experts that all participants in the illegal supply chain be sanctioned. In light of the evidence obtained up to 2012 by Kathi Lynn Austin – former investigator in the UN Group of Experts – TRIAL believes that Argor-Heraeus SA could not have been unaware of the criminal origin of the gold. Accordingly, in refining almost 3 tons of gold pillaged from the DRC in less than a year, Argor Heraeus SA may have committed aggravated money laundering. « Even if Argor-Heraeus SA was able at the time to escape UN sanctions under the embargo, that does not mean that it did not violate Swiss law », said Bénédict De Moerloose, TRIAL’s lawyer in charge of the case. The Front des Nationalistes et Intégrationnistes (FNI) is an unlawful armed group that began operating in 2002 in northeastern DRC, seizing control of the city of Mongbwalu (Ituri) and of a gold concession named « Concession 40 ». In violation of the embargo imposed by the UN Security Council in 2003, the FNI exploited this concession to finance its operations and buy arms. The FNI is widely accused of massacres, systematic violence against the civilian population of Ituri, sexual violence, pillage, and recruiting child soldiers. With the collaboration and air transport provided by a local businessman, Dr. Kisoni Kambale, a large portion of the gold was sold in Uganda to a company called Ugandan Commercial Impex Ltd. (UCI). This company resold the gold, in turn, to a buyer named Hussar Limited, a Jersey, Channel Islands company, and its London affiliate, Hussar Services Limited, which asked the Swiss company Argor-Heraeus SA to refine the gold, in the period between July 2004 and June 2005. The refined gold ingots were then sold to banking institutions. The Democratic Republic of the Congo is a territory rich in widely coveted natural resources (gold, coltan, tungsten, diamonds, precious woods). The struggle for control of this natural wealth, together with regional tensions and ethnic conflicts, have led to devastating conflict in the Congo (with millions dead and hundreds of thousands displaced). Since 1994, the population of the Northeast of the country (North and South Kivu and Ituri) has suffered massive and continuing waves of crimes and grave human rights violations committed both by unlawful armed groups and by the Congolese national security forces. These regions have also been the locus of systematic pillage of natural resources by the armed groups in the region. The company violated a regulation it had itself adopted in order to meet the requirements of the Law on Laundering and the Law on the Control of Precious Metals. In fact, indications of the origin of the gold "…should have raised Argor’s suspicions. (…) It failed to clarify the origin of the gold although its internal regulations required it to do so if there were any doubts as to the origin of the raw material for refining (…)." Despite these overwhelming findings, the OAGS decided to close the case 16 months after opening a criminal inquiry. It felt that the company should not be held responsible as "it is not clear (…) that the defendants had any doubts as to, or concealed any evidence of, the criminal origin of the gold." First and foremost, the OAGS’s stance raises questions over Switzerland’s role in the processing of and trade in precious metals. The NGOs still expect to know how several tons of dirty gold coming from one of the bloodiest and publicised conflicts of our time can reach Switzerland and be refined there without any consequences. The NGOs also noted the grave message the closure of the case sends: "This decision gives free rein to companies who violate their duty of diligence and prefer to remain ignorant of the criminal origin of raw materials. It means that they can simply turn a blind eye to indications suggesting the criminal origin of raw materials in order to avoid prosecution." The NGOs finally recall that there can be no justice without accountability for the private sector: "When companies fuel some of the most violent conflicts in the world, any failure on the part of the authorities to sanction them only ends up encouraging them to pursue their harmful activities." The Geneva-based non-governmental organization Track Impunity Always (TRIAL) filed a criminal charge against the company B. on 30 October 2013 [...]. It accused B. of smelting gold ore (so-called raw gold or crude ingots) pillaged from the Ituri region in the north-eastern Democratic Republic of the Congo, near the border with Uganda, and processing it into fine gold in Switzerland for C. between July 2004 and June 2005 [...], in full awareness of its illegal origin. The relevant article of the Swiss Criminal Code, Article 264 g (1) (c) on pillaging as a prohibited method of warfare, entered into force on 1 January 2011, namely after the incriminated acts had taken place in 2004–2005. The retroactivity prohibition set forth in Article 2 of the code applies [...]. The facts of the case must therefore be assessed on the basis of the then applicable Article 109 (1) (a) of the Swiss Military Criminal Code in conjunction with Article 4 (2) (g) of the Protocol Additional to the Geneva Conventions of 12 August 1949 related to the Protection of Victims of Non-International Armed Conflicts (Protocol II [...]), whose constituent elements are identical to current law and threaten even higher penalties. In order for these provisions to be applied, the pillaging must have been committed in the context of a non-international armed conflict. This occurs when a confrontation reaches a certain intensity and the conflict parties display a certain degree of organization [...]. The armed groups participating in the conflict must be under the authority of leaders and, because of their organized structure, be capable of planning and conducting sustained and coordinated military operations [...]. the Congolese transitional government was set up in July 2003, a non-international armed conflict was being waged in the Ituri region until December 2003, with fighting over the town of Mongbwalu in particular. The Front for National Integration (FNI) was already party to the conflict at this time [...]. In September 2004, the UN reported a drastic deterioration in the security situation following attacks on the civilian population by armed groups [...]. The FNI also took part in military clashes between armed groups in the Ituri region in the period from December 2004 until 15 March 2005 [...]. The government authorities managed to regain a foothold in the region by August 2005, but the situation remained unstable and the mining areas were still under the control of armed rebel groups, in particular the FNI [...]. In the view of the International Criminal Court, the FNI possessed a certain degree of organization. Known under this name since 2002, the FNI was an organized armed group of the Lendu ethnicity close to the Uganda-backed Patriotic Resistance Force in Ituri (FPRI). It had a hierarchical structure and was capable of planning and carrying out military operations [...]. According to the UN, the FNI and the Armed Forces of the Congolese People (FAPC) were fighting for control over customs posts and gold mines [...]. Because of the high revenues, the mines in Mongbwalu were particularly fiercely disputed [...]. The repeated clashes in the Democratic Republic of the Congo, and especially the Ituri region, were therefore not just sporadic acts of violence by unorganized gangs of bandits. At least until 2 August 2005 (date of the last relevant UN report), the situation there must thus be considered as an ongoing non-international armed conflict, to which the Geneva Conventions and their Additional Protocols apply. The concept of pillage within the meaning of Article 4 P II requires that the perpetrator dispossesses the rightful owner of an object for a non-negligible period of time against their will or without their consent, with the intention of appropriating it for private or personal use [...]. This includes organized pillage as well as individual acts [...]. Characteristically, the perpetrator appropriates the object by taking advantage of the rightful owner’s reduced protective measures because of the circumstances [...]. The presence of an element of force is sometimes also required [...]. The object of the crime can be either public or private property [...]. According to reports by the UN Committee of Experts and non-governmental organizations, the Congolese licensing authorities lost control over gold mining in eastern Congo well before 2004. The gold mining area around Mongbwalu, for which concession 40 was issued, was occupied by rebel groups as early as 1997. They fought for control of the Ituri region from August 1998 (the start of the Second Congo War) [...]. The State increasingly lost control as the conflict grew in intensity, financed by the illegal exploitation of mines and the imposition of levies on gold and diamonds [...]. Until August 2005 at least, the loss of State authority over the Ituri region meant that armed groups could impose their own control over the military and civilian administration, and thereby achieve their own interests [...]. According to the reports, the pillaged gold was then exported via Mongbwalu and fed into the international gold market. The UN Committee of Experts confirmed in July 2005 that gold exports from Mongbwalu to Uganda were in the hands of some two dozen Congolese traders, who organized regular flights from Ituri to Kampala, Uganda. The most important among them was the since deceased D. [...]. He exported around 50 kg of gold for the FNI every 10 days without ever having been issued a licence for this from the State authorities. He received clearance to land directly from the FNI, on the condition that he transport gold from Mongbwalu to Kampala for them. In Uganda, D. sold the gold to the [company] E. [...]. The mining and trading of raw gold in these circumstances thus took place against the will and without the authorization of the State authorities. Furthermore, the use of force was widespread, which is why the FNI’s action must be considered as pillage in the sense of Article 4 (g) P II. Gold mining is the sole source of income for most inhabitants of Ituri, and the daily yield (if any) is sold to local dealers in the evening in order to secure a livelihood. After carrying out a first separation of the gold (using nitric acid), the dealers sell it on to intermediaries, who smuggle it to Uganda where they sell it to wholesalers. There, the gold is cast in ingots and sent to refineries around the world as raw gold (gold doré). [...] Furthermore, the revenue from illegal gold mining or from the imposition of taxes and levies on it is needed by the respective rebel groups in power to finance their fight [...]. It follows from this that the gold bought by C. and refined by B. was extracted illegally at a point in time that cannot be determined exactly but that was shortly before refining. For an act to be qualified as a war crime, the armed conflict must be of substantial importance for the capability of the perpetrator to carry out the crime, or for the manner of committing the crime, or for the purpose of the act. Such a link between the act and armed conflict generally exists when the act was committed, ordered or tolerated by a party to the conflict [...]. In light of the above, there can be no doubt that the pillaging by the FNI had a direct and functional link to the armed conflict in Ituri. The FNI was a party to the conflict and pillaging served specifically to ensure its financial means and material needs, so a nexus exists between the act and the conflict. The criminal charge rightly did not claim that the defendants were directly involved in the pillaging, and no evidence for this was found during the investigation. However, some legal literature argues that the wilful acquisition of illegally exploited natural resources via an intermediary also constitutes unlawful appropriation and hence pillaging. Participation in the first unlawful act of acquisition is not necessary in order to assume the role of perpetrator. Successive unlawful appropriation suffices (James STEWART, Corporate War Crimes: Prosecuting the Pillage of Natural Resources, New York 2012, paragraph 44 et seq.). As described above, the defendants refined the raw gold received from C. on a contractual basis and transferred it to the designated buyers. Even if one accepts Stewart’s view, the defendants could not be considered as perpetrators since they never acquired the gold in the legal sense. The question can remain open here whether, according to this interpretation, E. and C. should also be regarded as pillagers, since, to the knowledge of the Federal Prosecutor’s Office (at least at present), none of the persons or companies suspected from this point of view fall under Swiss jurisdiction. Any person who wilfully assists another to commit a felony or a misdemeanour is liable to a reduced penalty (Article 25 of the Swiss Criminal Code). The provision of assistance by an accessory does not have to be a conditio sine qua non for the success of the deed; simply facilitating it suffices. The support must have contributed concretely to the crime, increased its practical chances of success and proved to be causal in this sense. It can be both physical-technical and intellectual in nature [...]. The documents seized during the search of the premises confirm that E. sold raw gold to C. in the period from July 2004 to June 2005. C. instructed E. to fly the gold from Uganda to Switzerland for refining by B. In this way, around 2,950 kg of raw gold bars arrived in Switzerland between 9 July 2004 and 30 May 2005. E. confirmed the transmission of the raw gold to C. in a proforma invoice detailing the amounts and level of purity of the individual deliveries. C. thereupon paid 90% of the stated value to E. On receipt of the gold, B. verified the information provided by E. regarding the weight and purity and confirmed this to C. After the refining process, B. determined the exact amount of fine gold, now tradable on the gold market, and sent it to the buyers according to the different orders from C., generally as standardized ingots to banks. This process can be traced from accounting data, since B. kept so-called precious metal accounts for its clients (suppliers as well as buyers), in which fine gold inputs and outputs were accredited or debited. The beneficial owner of the processed gold in concreto was always C. […]. The processing of the raw gold by B. into fine gold with a standardized precious metal content increased its value and made it tradable on the international gold market. The investigations by the UN Committee of Experts confirm that the sale of pillaged raw gold abroad enabled the FNI to purchase the goods it needed to wage war [...]. The refining by B. and consequent increase in the value of the raw gold were thus causal to the pillaging by the FNI, as without the prospect of processing it to fine gold with a standardized gold content, the pillaging, illegal trade and smuggling of the raw gold would not have been a lucrative business for the FNI. Thus B. objectively aided the commission of war crimes on the ground in Ituri. The accessory must subjectively have contributed knowingly and willingly to the act and be aware of the main perpetrator’s intent. The accessory wants to support the main offence and at least accepts that his or her assistance facilitates it. The intention to assist must extend to the relevant unlawful features of the main offence [...]. For complicity in pillage, this presupposes that the defendants knew and agreed that the perpetrators acted with the intention of dispossessing the rightful owners and using the object for their private or personal use [...]. The documents seized provide no evidence that the defendants were aware of the intent of the FNI and of the individuals and companies dealing with it. The defendants trusted in the statements of C. who, on resuming the business relationship, declared that E. was working completely legally as a State-approved gold dealer whose activities were supported by the Ugandan State. E. confirmed to C. “that gold has been exported from the region and imported into Uganda for years, and from there regularly officially exported to European and South African refineries” […]. There were no other indications that should have led the defendants to conclude that the gold supplied was criminal in origin and had been pillaged as a war crime. Based solely on the NGO and UN reports already available in 2004, B. could have known that the raw gold supplied from Uganda was in all likelihood pillaged in eastern Democratic Republic of the Congo, where it served to finance the conflict [...]. However, contrary to the claimant’s assertion, this “could have known” is not sufficient to assume (conditional) intent. As already stated, this presupposes a sound knowledge of the factual circumstances of the crime. The question of whether, in accordance with the company’s own compliance guidelines, B. should have made inquiries about the origin of the gold supplied by E., is discussed in the deliberations on money laundering (see below). For the above reasons, the charge that the defendant wilfully aided the commission of war crimes by refining around 2,950 kg of raw gold that was very probably pillaged in the Democratic Republic of the Congo from July 2004 to June 2005 cannot be upheld. The proceedings are to be terminated on this point. According to the charge, by refining the gold B. made it impossible to identify the origin of the ore that was illegally extracted by rebels in the Ituri region, which constitutes an act of money laundering. The object of money laundering, according to Article 305bis of the Swiss Criminal Code, can be any assets that originate from a felony within the meaning of Article 10 (2) of the code and are subject to forfeiture (Art. 70 of the Swiss Criminal Code). The term assets comprises all objects with any financial value, thus also the raw gold supplied to B. The charge of money laundering objectively requires that the incriminated act was capable of frustrating the identification of the origin, the tracing or the forfeiture of assets. The act of frustration as such is punishable. Proof of a specific risk of frustration or of successful frustration is not required [...]. According to the submission made by B. before the Federal Criminal Court in complaints procedure BB.2013.173-17 4, the raw gold had already been processed several times or remelted to separate out the remaining minerals and analysed before it reached B. for final refining. Therefore, the crude ingots delivered to B. would not have enabled any conclusions to be drawn as to their country of origin. This assertion was confirmed during the criminal proceedings [...]. Even if the raw gold delivered to the defendants could still have been analysed for its specific composition, there was a lack of reference samples from the mines in the Democratic Republic of the Congo, which alone would have enabled a clear determination of the origin of the gold. The refining process could thus no longer frustrate identification of the origin of the gold. The internal regulations of B. of 30 August 2004 lay down certain due diligence obligations, which ensue from the Swiss federal acts on combating money laundering in the financial sector and on the control of precious metals. These regulations were declared applicable to the trade in and smelting of precious metals and to the services provided in connection therewith. [...] All persons responsible for the smelting of precious metals were thus obliged to clarify in depth the background and any unusual details and to verify the information provided by the client on the origin of the assets. They thus assumed a guarantor status in the sense of the aforementioned jurisprudence. The information provided by E. and C. on the origin of the gold, namely that it had been exported from the region and imported into Uganda for years, should have raised doubts on the part of B. In particular, based on concrete indications that the gold did not come from Uganda itself, the persons responsible should have clarified its origin and thereby made sure that it did not stem from a crime. However, on resuming business relations with C., according to its own statement B. only took steps to check the identity of its client C., determine who the beneficial owner was and assess the plausibility of the transaction. It omitted to clarify the origin of the gold, even though its internal regulations so required in the face of doubts as to the origin of the melting stock, at latest after their entry into force at the end of August 2004 [...]. In compliance with these self-imposed obligations, B. should have asked C. where the gold came from and so been able to conclude that it was most probably pillaged. The defendants should not have been satisfied with the explanation that the gold originated from the “Uganda area”. What is more, at the time when business relations with C. were resumed, it was already known from publicly available sources that the gold traded in Uganda was almost exclusively pillaged ore from the eastern Democratic Republic of the Congo. With its long years of experience in gold refining, B. could also have known that Uganda itself possesses very little gold ore and has hardly exported any gold of its own since actively joining the conflict in the Democratic Republic of the Congo [...]. What is relevant to the criminal charge of money laundering by omission, however, is what the defendants knew or by rights should have known, and how they dealt with it. [...]. As stated above, the documentation from B.’s business relations with C. contained no concrete evidence that the gold was illegal in origin. Neither did the seized records indicate that, at the time when business relations with C. were resumed (April 2004), the defendants had any doubts or grounds to believe that the gold was criminal in origin. The documents rather corroborated that the defendants were satisfied with the information provided by C., which already in 2004 had fended off inquiries about the origin of the gold with the argument that its suppliers were state-licensed and -controlled trading companies that had been in the business for decades. The charge of money laundering could therefore not be substantiated. On the one hand, there was no appropriate act to frustrate identification of the origin of the gold, and on the other hand, the wilful disregard of relevant information necessary for money laundering by omission was lacking. The proceedings are therefore to be terminated on this point also. 1. (Document A, paras , , , , Document C, paras -) How would you classify the conflict? Does the Swiss Federal Prosecutor classify the conflict? Which conditions must be fulfilled for a non-international armed conflict to exist? When can non-state entities involved in the conflict be considered as "parties to the conflict"? Must they be "parties to the conflict" to violate IHL? 2. (Document C, para. , ) Does the fact that the pillaged gold was sold on the international market affect the character of the conflict? 3. (Document C, paras -) How does the ICC classify the situation in Ituri between 1999 and the end of July 2003? Between July 2002 and July 2003? As from July 2003? Who were the parties to the conflict? What happened in July 2003? 4. (Document C, para. ) What law does the Swiss Federal Prosecutor apply in this case? 5. (Document A, paras -, Document C, paras -) What is the FNI? What was its role in this conflict? Is it a party to the conflict? The FPRI? What is the FNI accused of? Are these violations of IHL? 6. (Document C, paras -) Does every theft committed in an area of armed conflict constitute a violation of IHL? Why was there a violation of IHL here? 7. Does IHL protect private property? Public property? Were any of its rules violated in that regard? Which ones? By whom? 8. Can a private company violate IHL? Only rules of IHL whose violation is a war crime? 9. (Document A, paras , , ) Does the embargo imposed by the UN Security Council in 2003 have any impact on IHL? On the criminal liability of Argor? 10. (Document A, paras , , , ) Is the information that the FNI was an "unlawful armed group" relevant for IHL? For Swiss criminal law? Are there any lawful armed groups? 11. (Document A, para. ) Does the fact that the FNI engaged in systematic violence against the civilian population of Ituri (sexual violence, pillage, and recruiting child soldiers) have an impact on the classification of the conduct of the company under IHL and ICL? Could the company be held responsible for those acts? 13. (Document C, paras -) Would the legal situation under IHL and under Swiss criminal law have been the same if the FNI had used the proceeds of selling the gold to build hospitals and schools for the local population? Is it at all possible for an armed group to continue to exploit raw materials in a region which comes under its control without committing pillage? Could there ever be a situation in which a government exploiting raw materials on its territory during a non-international armed conflict would commit pillage? 14. Does pillage always amount to a war crime? Do you consider corporate pillage a war crime? Do you consider businesses that buy, process and trade pillaged goods accessories to pillage? If they do not do so knowingly? 15. (Document B, para. ) What is meant by Argor's "duty of diligence"? Is a violation of this duty a violation of IHL? Of international criminal law? 16. (Document A, para. ) 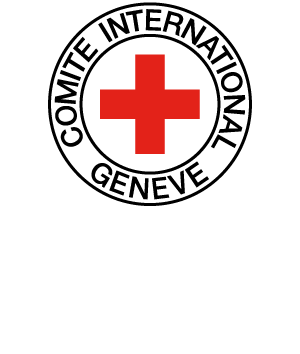 Can the commission of "aggravated money laundering" be a violation of IHL? Can it be punished under international criminal law? 17. Does IHL require the prosecution of a private enterprise that may be complicit in the commission of a war crime? How can private enterprises be prosecuted? What conditions need to be fulfilled? Are they the same in every country? 18. (Document A, para. , Document B para. , Document C, paras -) In this case, does the Swiss Federal Prosecutor consider the conditions to be fulfilled for Argor to be punishable? What constitutes the crucial part of the test? How can knowledge and intent be proven? Does the Swiss Federal Prosecutor conclude that Argor had knowledge of the criminal origin of the gold? What is TRIAL's opinion? Why did the Swiss Federal Prosecutor decide to close the case? 19. Do you agree with the Swiss Federal Prosecutor that the case had to be closed? Why? Do you think that Argor fulfilled the requirements of knowledge and intent? 20. (Document B, paras -) What is the relationship between the private sector and IHL? Do you agree with the statements in paragraphs 4 and 5? Do you agree that "there can be no justice without accountability for the private sector"?